Experiment 626 has made his way from your heart to your keychain! This Disney Lilo & Stitch Stitch Pop! 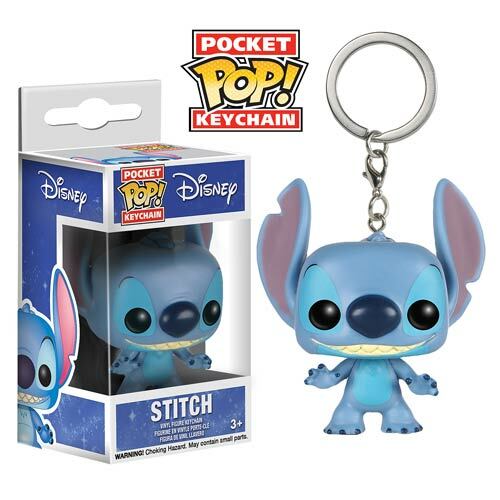 Vinyl Key Chain features the cute little blue alien from the animated Disney film. Measuring approximately 1 1/2-inches tall, this key chain is the perfect thingamabob for your keys or backpack! Ages 3 and up.